Only have a few hours to spare between flights and don’t think you’ve got time to squeeze in some sightseeing? Think again! On this experience with a knowledgeable Local Host, make the most of the precious little time you have in Tokyo! Experience a taste of local life even on your layover as you take in the city’s top attractions if it’s your first time passing through, or immerse you in a local neighbourhood you've never visited before. Your Local Host will personalise the entire experience to your wants, needs and wishes. Join a like-minded Local Host and experience a taste of life in Tokyo while you’re stopping over between flights, whether you’re here for the night or you only have a few hours. Your Local Host will design a fully personalised and bespoke route for you which allows you to make the most of your time in the city, seeing the most famous attractions through the unique perspective of a Tokyo local. Whether you want to see the iconic tourist sights or the local hidden gems, your Local Host will accommodate your every need. Your Local Host will help you to maximise the time you have before your next flight, meaning you don’t have to waste your day waiting at the airport and can discover the city like a local, even if it’s only for a few hours! 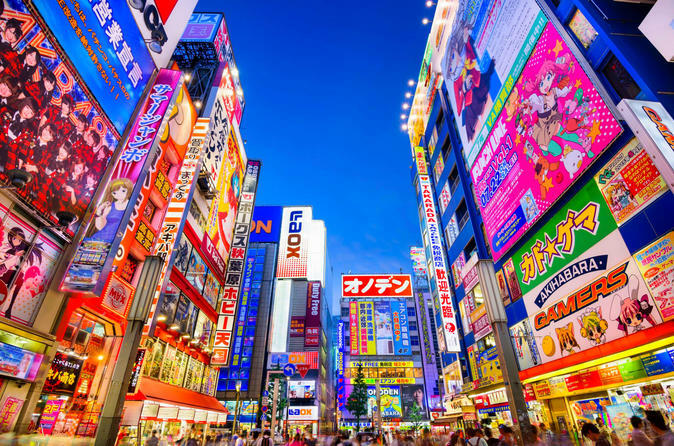 * Don't waste your layover in Tokyo waiting at the airport!